Peplums will be a major trend this Fall/Winter. I am a big fan of peplums and how they accentuate the waist. Below are ways that I have styled my peplum tops in the past and also, some tips to consider when shopping or styling peplum pieces. Things to consider when styling peplum pieces. Choose the right peplum for your body type. Make sure it does not sit too high or too low at the waist. It is best on the natural waistline because this will accentuate your curves while preventing your upper torso from looking shorter. For an hourglass look, wear peplums with fuller details. If you wear a fuller peplum on top, keep the bottom fitted and smooth. Also, consider the fit, texture and pattern when putting together peplum pieces. It is great to always pair peplum outfits with high-heeled shoes to give an appearance of a longer frame. When in doubt, peplum tops can perfectly be combined with pencil skirts, shorts or cigarette pants. For work, you can wear a peplum blouse with a midi skirt and tailored blazer for fall. Pair this outfit with pointy-toe pumps for a classy look. Great Post! Thanks for the tips. I adore the peplum trend! I love my peplums. Great tips ! I have been searching high and low for the perfect peplum for me but have yet to find one. Sigh. I love this white one on you with the orange trousers! Great tips and gorgeous outfits!!! 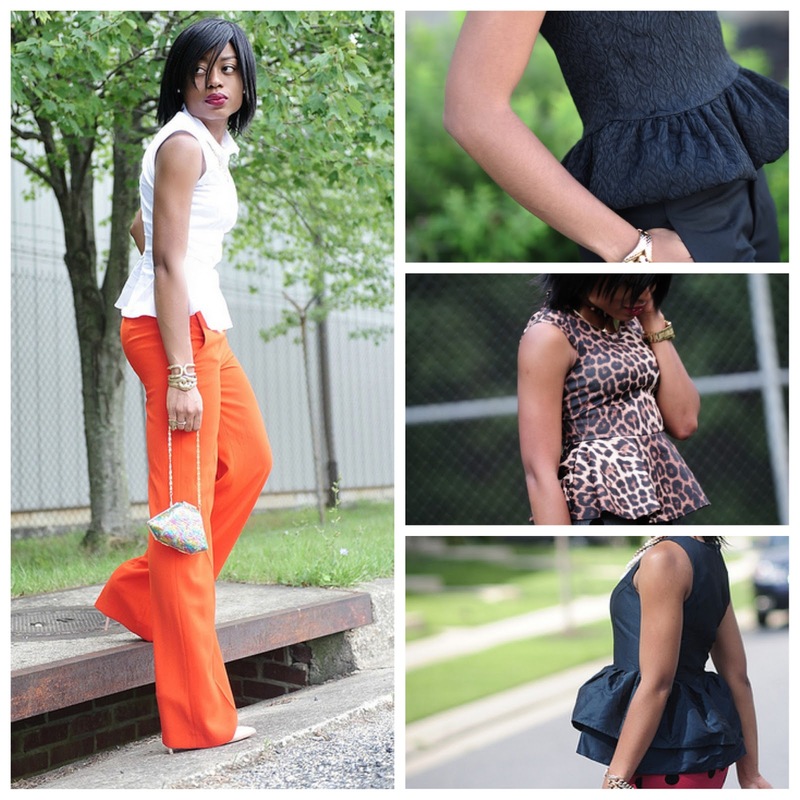 Loving all of these looks, you really styled these peplum tops well!! i zeroed in on those black shoes, simply perfect! Anyway i'm trying my first skirt peplum when it arrives in the mail, i can't wait. You are the queen of peplum honey great post! Lovely! Where can I get one of those polka dot skirts? I love them!! Thank you for these tips, I will def. try them! Amazing tip and looks, darling! Love your peplum top and skirt combos! So far I didn't like peplums at all, but you gave me some ideas how I could fit them into my closet! Lovely style!1great blog. What about following each other? I never really got into that whole peplum thing, but it does look lovely on you. Also, may I know where is the dotty grey pencil skirt from? It's gorgeous. Thanks you all for the sweet comment. @Kristina: the dotted skirt is from Asos.com, but it is currently sold out. I love all your looks, but my ultimate fave is the polka dot skirt, and just love how the red on the bottom of your loubs ties it all together, so darn chic. Love peplum and your combos are especially great! Need to have a perfect figure to carry this style. Nevertheless, loved your ensembles and heels.